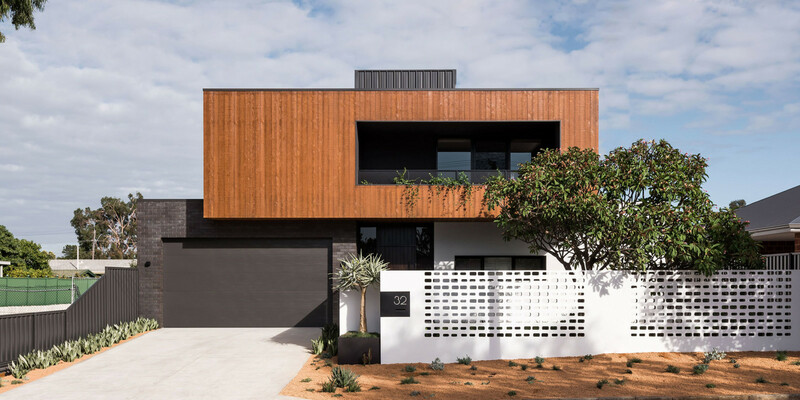 With the want to be environmentally functional and sustainable, this home embraces mother nature’s natural light as much as possible. 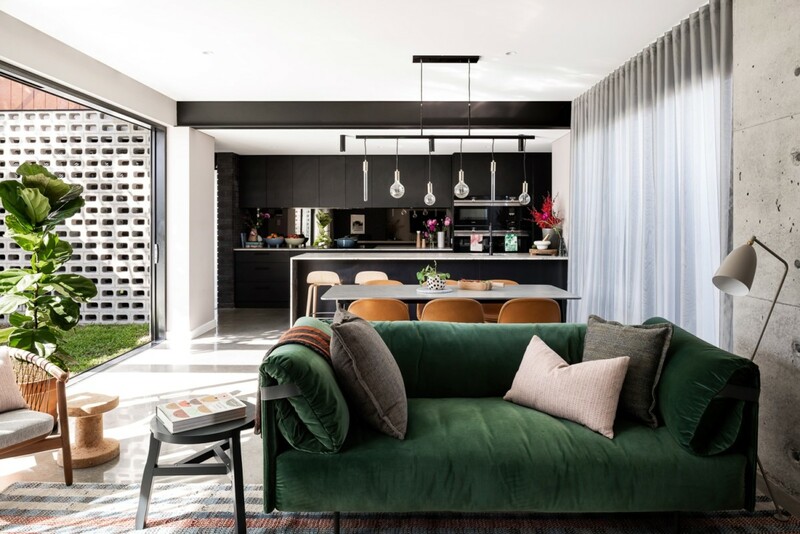 Layered greenery as far as the eye can see – it is easy to see why this family abode has been dubbed the ‘Green Home’. 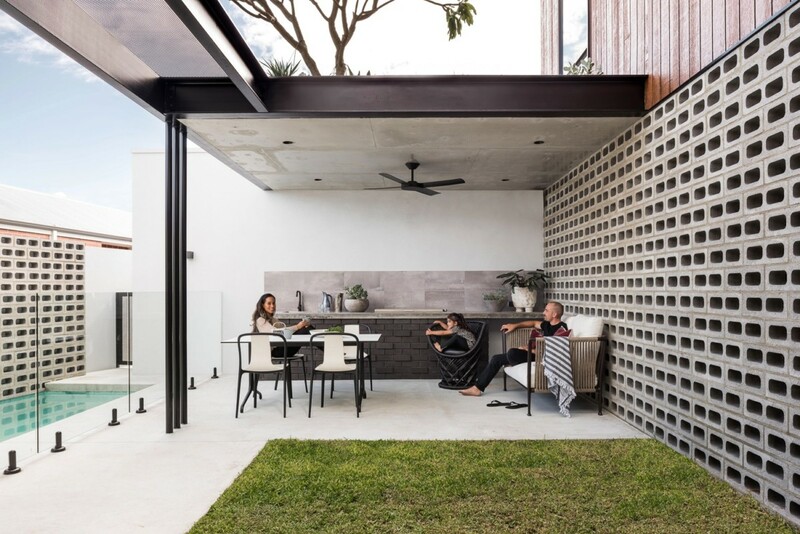 The young, growing family craved a space that was solar passive that had an intrinsic connection with the outdoors. 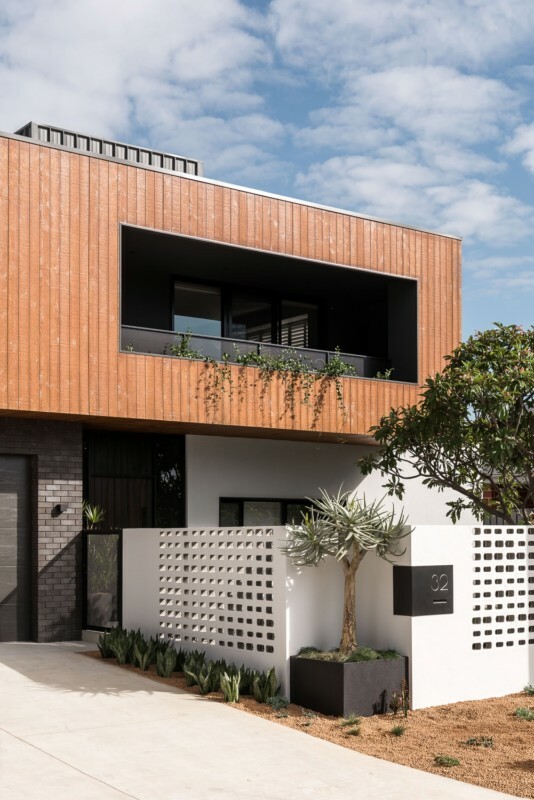 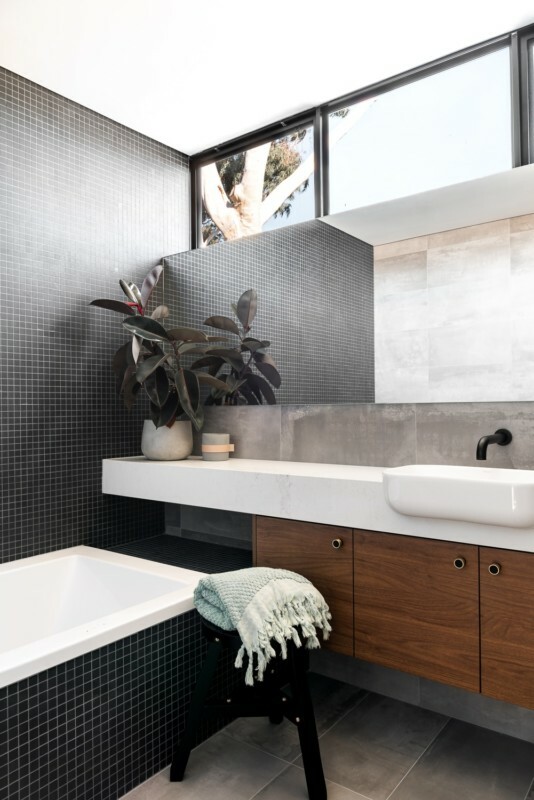 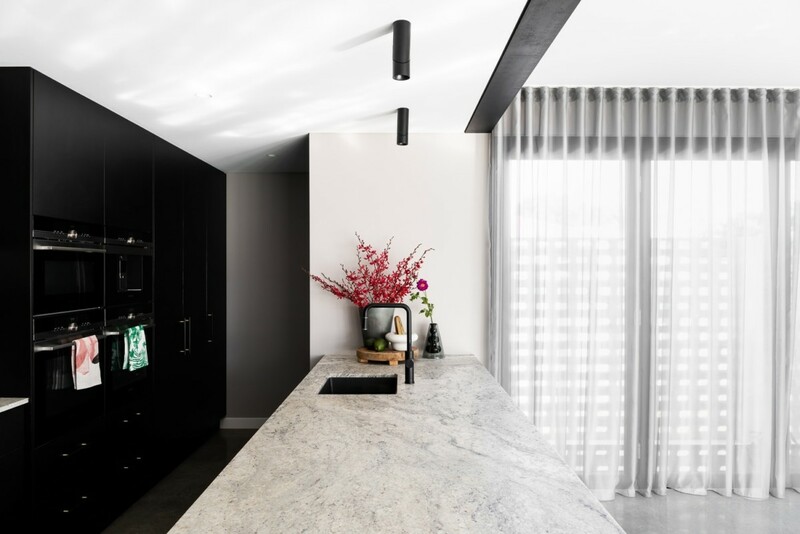 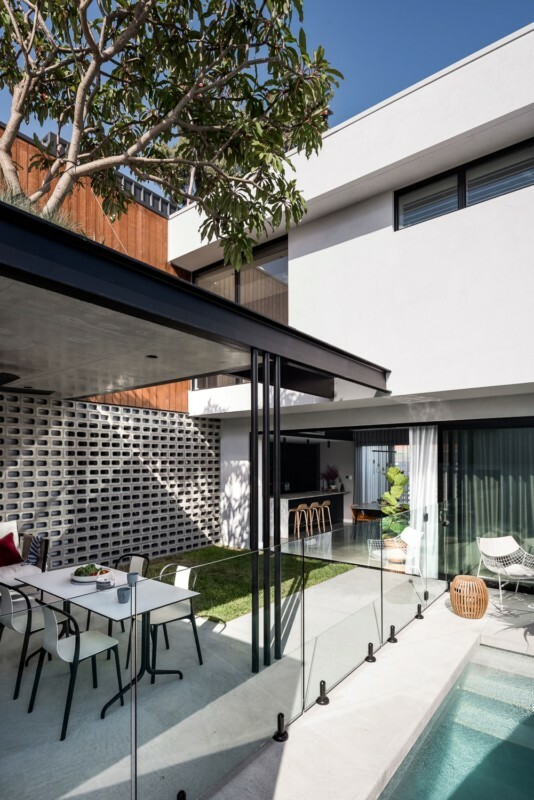 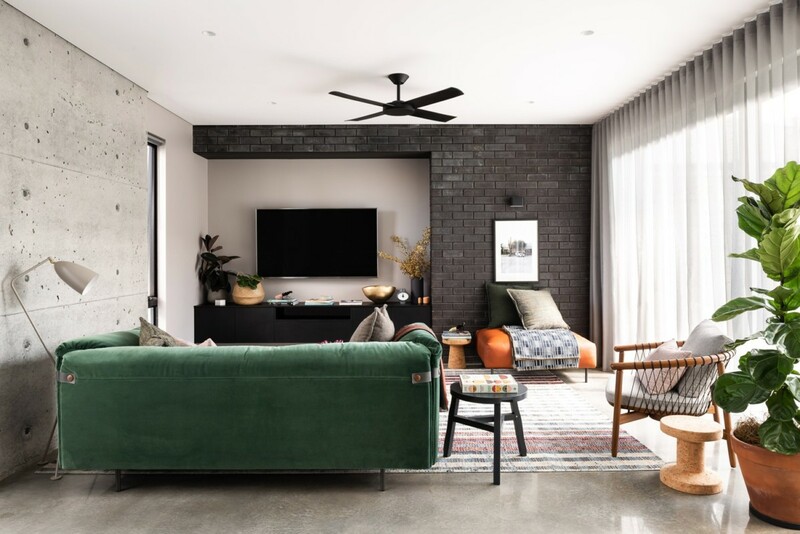 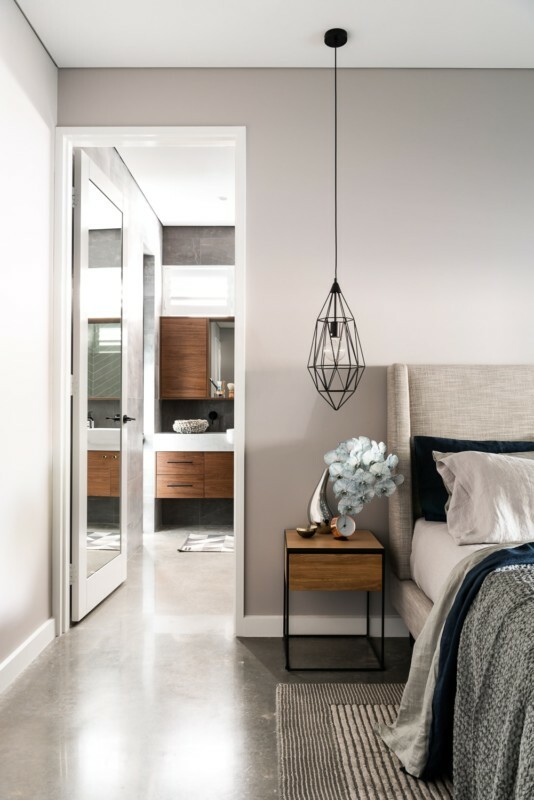 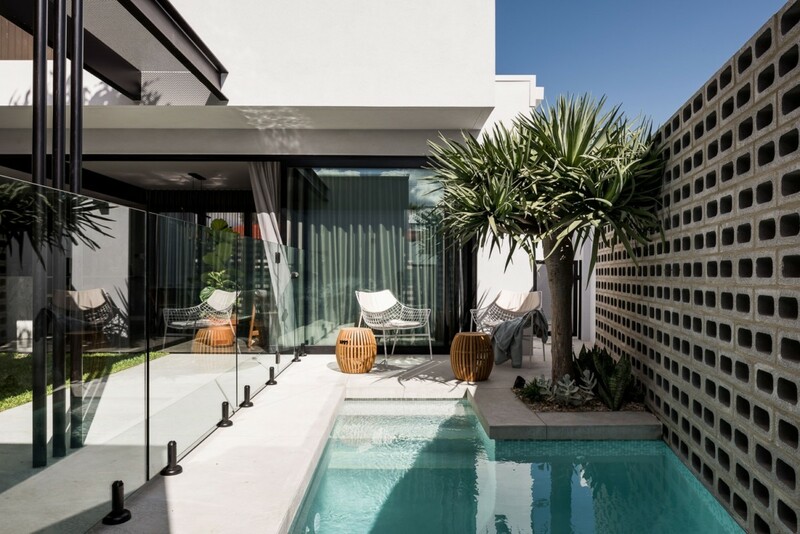 Dalecki Design carefully considered this brief in the four bedroom, two bathroom functional design that wraps around a central courtyard, before Limitless Building took this form off the page and made it this impressive reality. 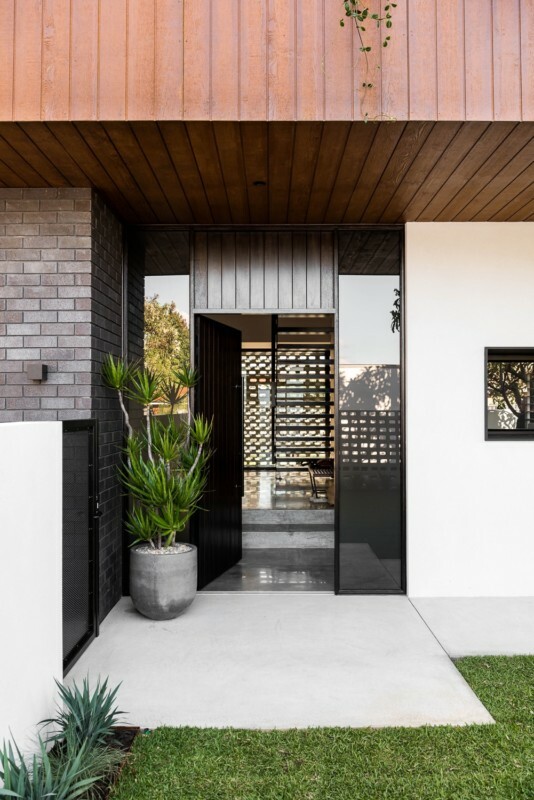 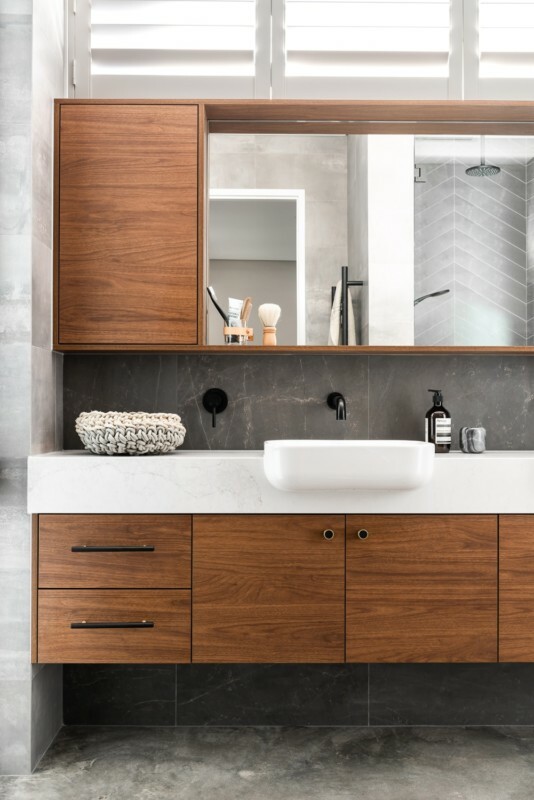 The striking merging of materials both inside and out are a testament to the quality workmanship and successful collaboration of the team involved in the build and design. 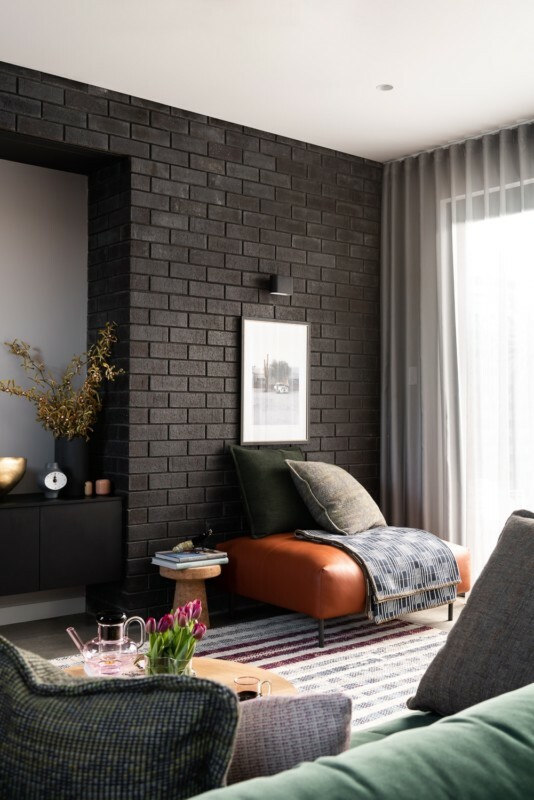 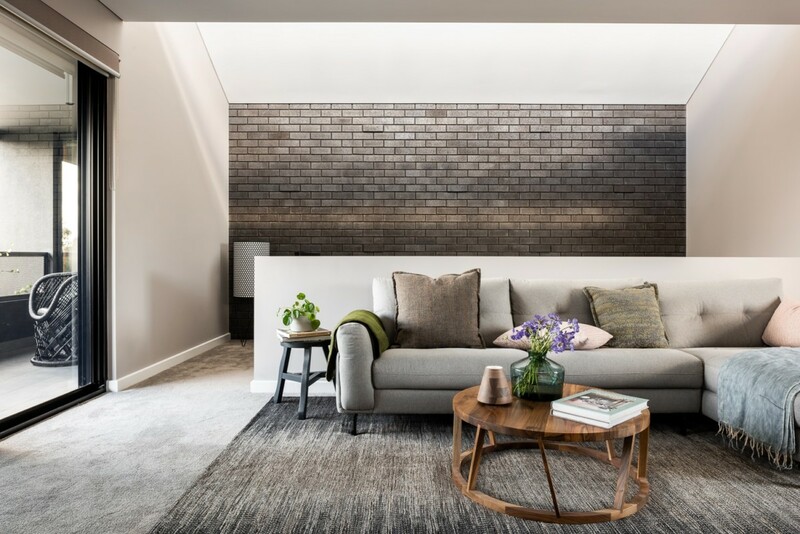 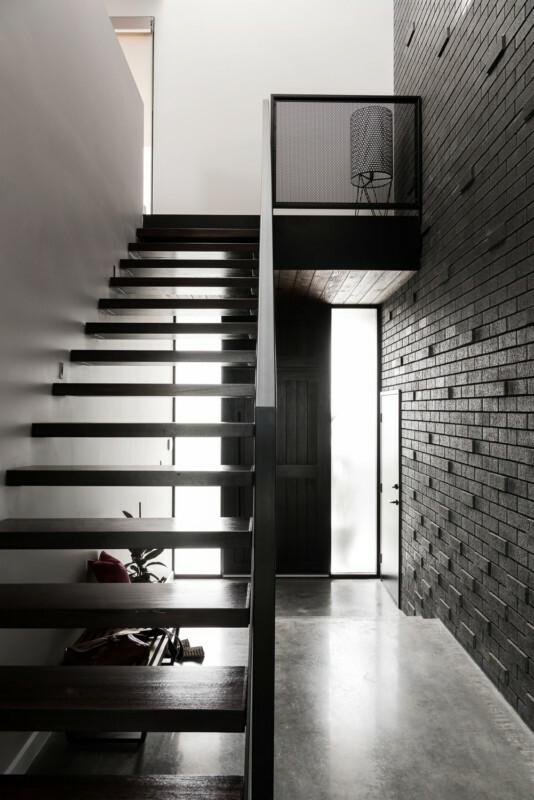 Feature brickwork and concrete flooring flow from the interior to the exterior, marrying together to create a seamless connection. 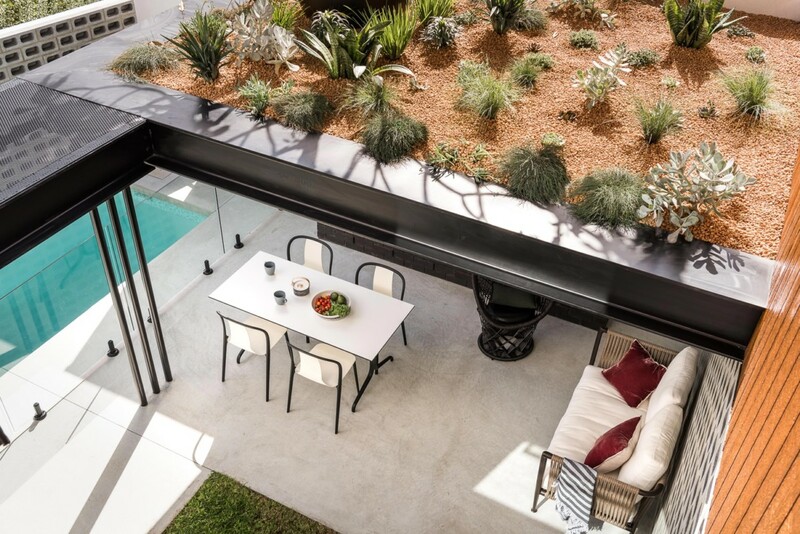 Rooftop gardens, thoughtful landscaping and cascading plants surrounding the alfresco and balcony further blurs this indoor/outdoor line. 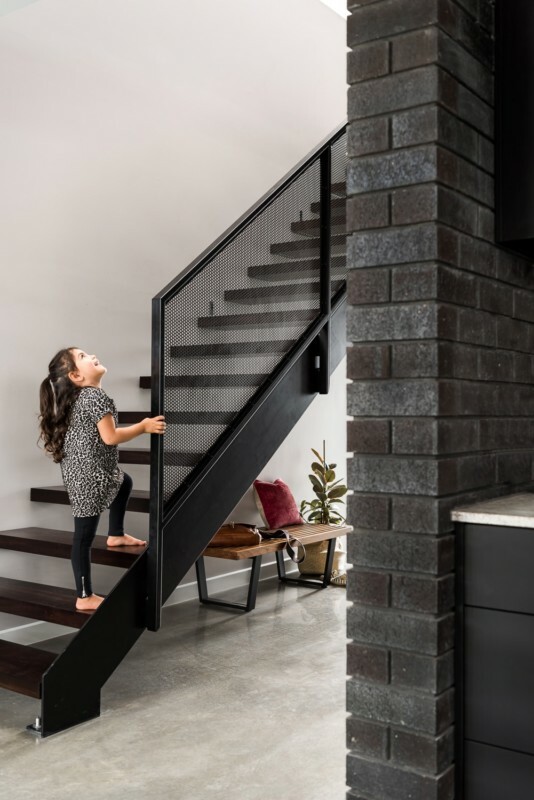 The home features two distinct, yet united zones, with the kids hub sitting on the top level and stylish parents retreat, living and entertaining spaces below. 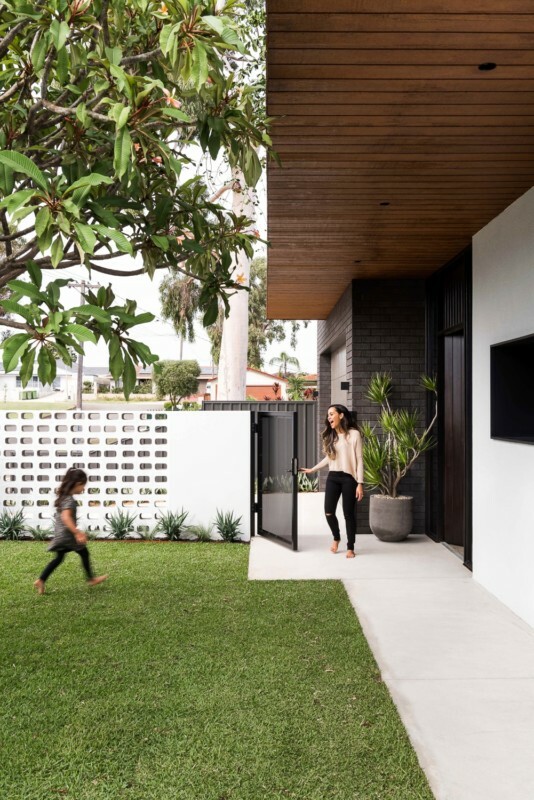 With no large distances between these two living spaces, the parents are able to keep an eye on all of the goings on in their home. 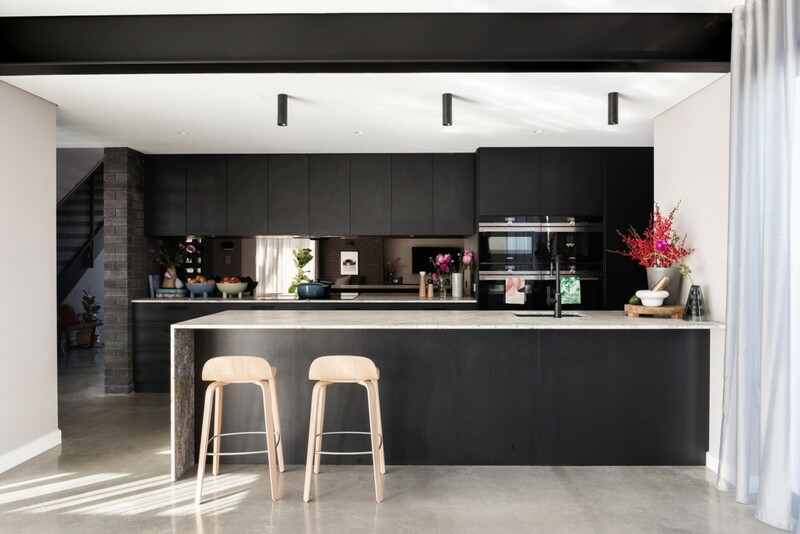 Floods of natural light pour through to the heart of the home – a two and a half storey entry void – inducing the feeling of brightness and warmth the family craved. 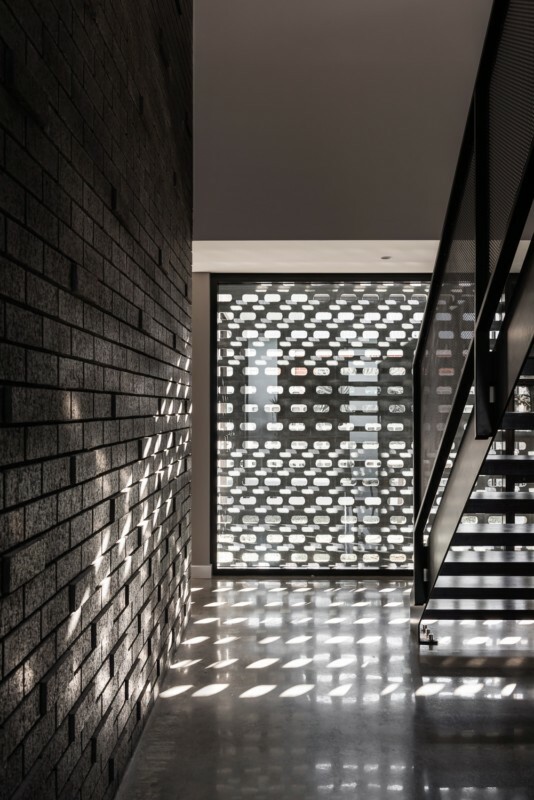 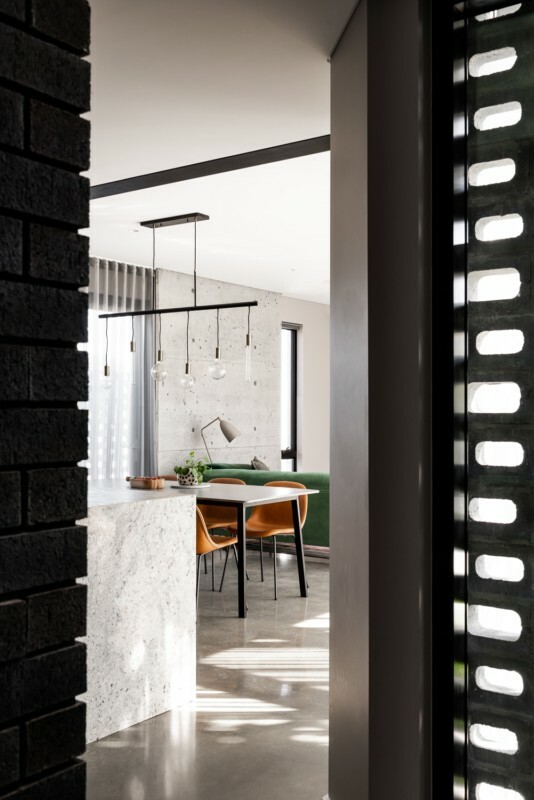 Whatever the season the sun has been embraced in the solar passive home, from the strategically placed north face openings directing warmth to the thermal mass exposed concrete slab, to the clerestory windows harnessing the sun into the exposed feature brick wall. 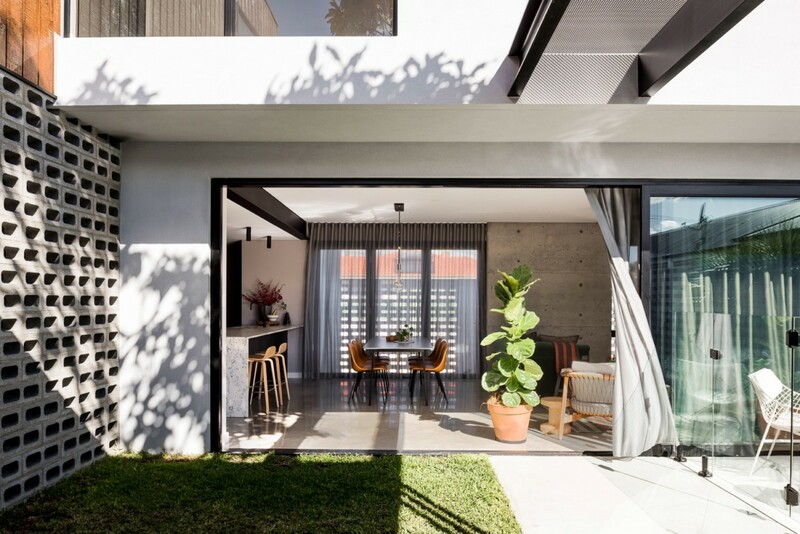 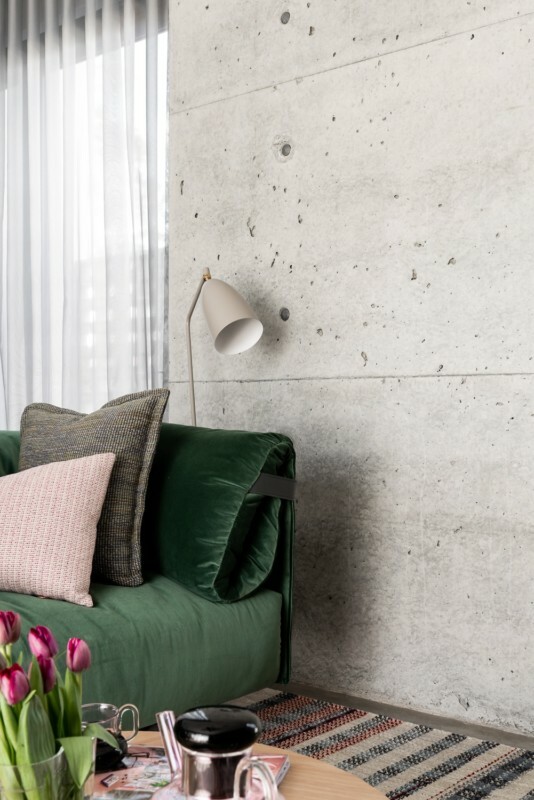 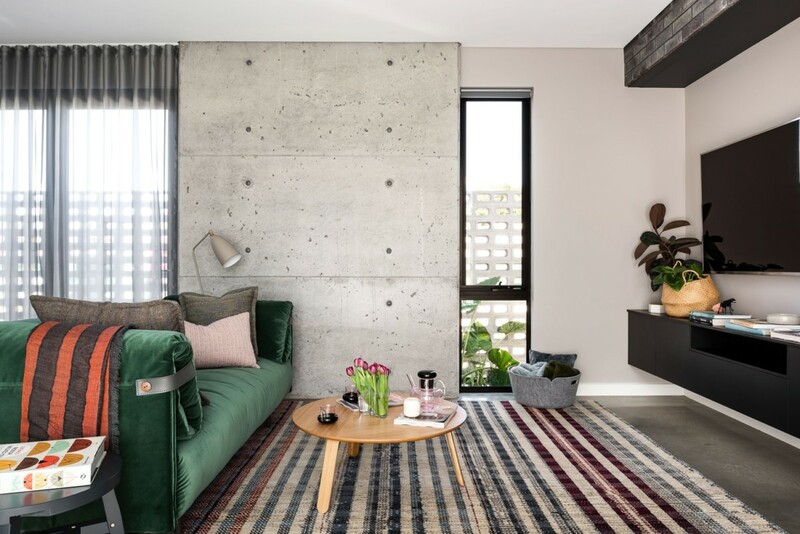 From every angle this intriguing, functional and ‘green’ home ticks all of the boxes of the brief, creating a space the family will enjoy and grow in for years to come.